Prince of Wales double-breasted shawl waistcoat in medium gray 6 corozo buttons and 2 double welt pockets Back lining wi... Prince of Wales double-breasted shawl waistcoat in medium gray 6 corozo buttons and 2 double welt pockets Back lining with elastic band to adjust width. 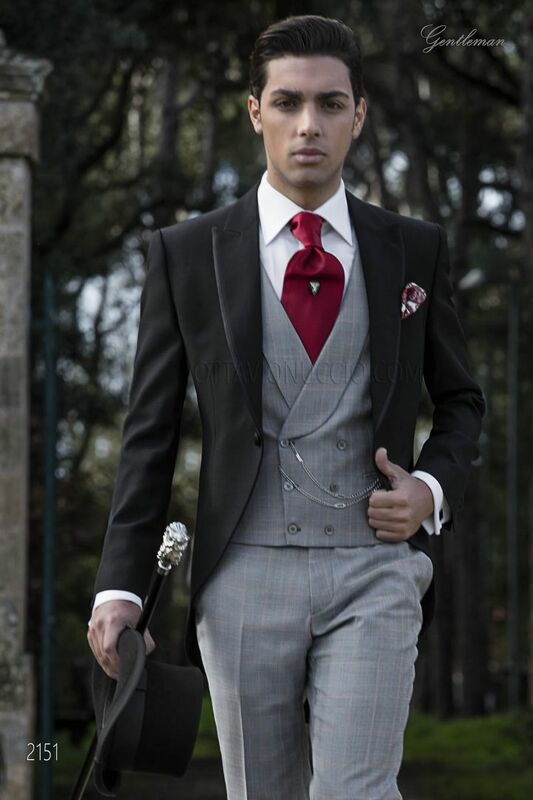 Red royal satin cravat Handmade. Handkerchief made from white and red cachemire printed silk.